Here's a little sampling of Essig Taylor Gifford Miron in a live setting. This is the raw recording from the broadcast on "For the Folk" with host Amanda Lynn Stubley. It happened a day before the official release and represents just the 2nd time the full group had performed live together in public! 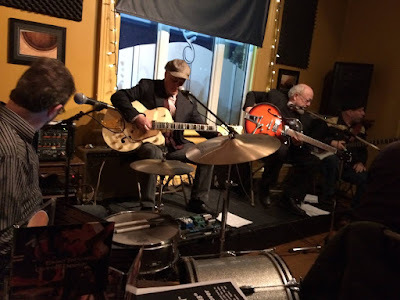 This "Gum and Strum" (as dubbed by our friend Stephen Fearing) features three songs from the album; Sugar Shack Shuffle (Rick Taylor), Willie P. (David Essig) and Walk Back Into Town (David Essig). Thanks to Amanda and Alex for having us in the studio with them. We had a blast! 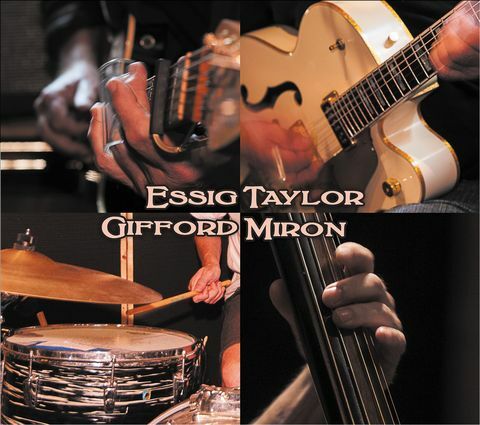 Essig Taylor Gifford Miron available now! On February 18th 2016 there was a great little party at the London Music Club's front room to commemorate the launch of "Essig Taylor Gifford Miron" to music fans around the world! You can now find the album on iTunes, Google Play, Amazon, Spotify and more! You can also message us at our Facebook page and we will arrange to send you a CD by mail! The launch party saw David make a special trip into London not only to play the party (to a standing room only crowd) but he also graced two London homes for house concerts and the stage of the "Firehall Reunion" show as part of the house band as well as a full band live to air broadcast with Amanda Lynn Stubley (who also took the fine photo above) at CHRW 94.9fm in London during the show "For the Folk". Side note: Our co-producer/drummer Ian Gifford started "For the Folk" in 1997. A week before the writing of this, Essig Taylor Gifford Miron was sitting at #4 on the CHRW charts after only 2 weeks! 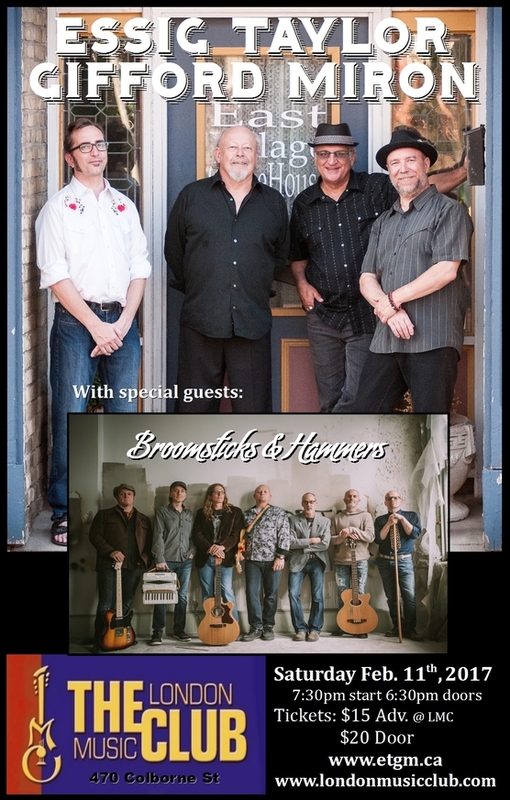 It's less than a week away now and the band is bubbling with excitement, not only that this project is coming to fruition but that David Essig is back in Ontario and we will see him in a few short days. First on Wednesday Feb 17th we will be appearing on CHRW 94.9fm's "For The Folk" after 8:30pm live to air! You will be able to stream it live from anywhere in the world! FREE! Next on the 18th we are officially releasing the Album and it will be available to download or purchase right from links on our site here including iTunes and Google Play Music store. Be sure to check back as we update our page. Possibly after our free release party on the 18th (at London Music Club's front room) we may have some video links for you as well! So come out on the 18th. We'd love to meet you all and sign your copies of our cd if you'd like. We're so very proud of what we've made. Click on the Soundcloud link to the right and give it a listen this week for free! 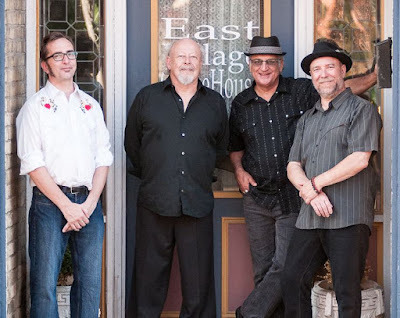 L-R Ian Gifford, David Essig, Rick Taylor, Richard Miron. 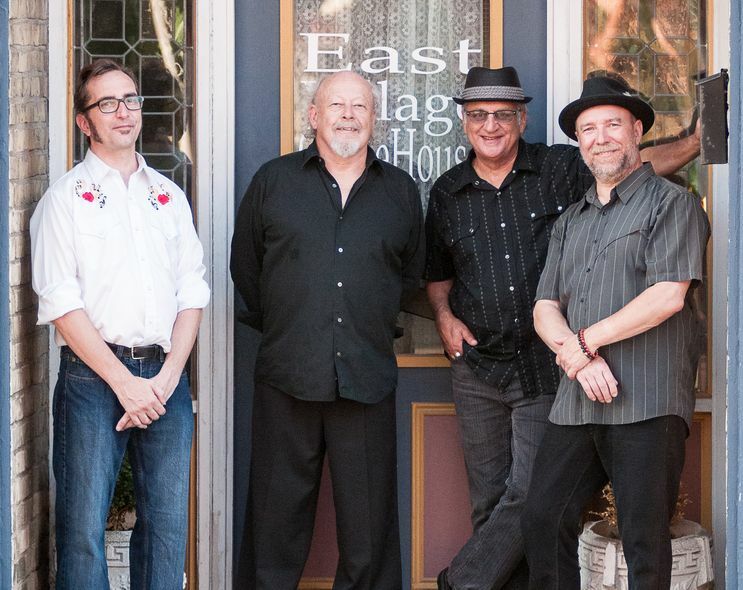 Check back often for news on the February 18th, 2016, release of their eponymous album. This album will be available on all major sites like iTunes and Google Play Music store and the CD will be available right here on these pages for direct purchase from wherever you are in the world! Stay tuned for news of what the group may do next and for links to streaming song samples.